Enjoy some good, old-fashioned face time with your family when you gather them around the spacious POLYWOOD® Metro 7-Piece Dining Set. 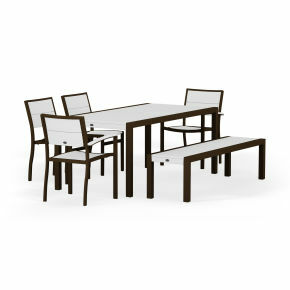 Included are four Metro Side Chairs, two Metro Arm Chairs and one MOD SOLID™ 36" x 73" Dining Table. Enjoy some good, old-fashioned face time with your family when you gather them around the spacious POLYWOOD® Metro 7-Piece Dining Set. 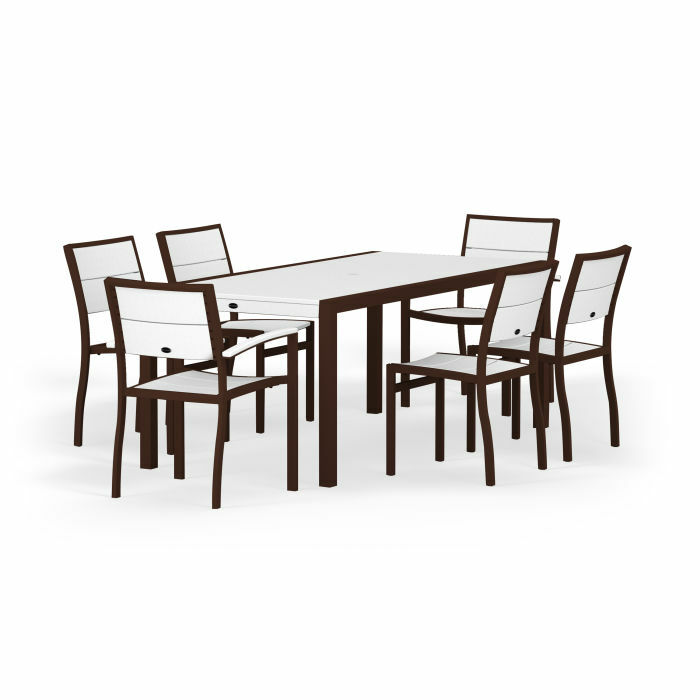 Included are four Metro Side Chairs, two Metro Arm Chairs and one MOD SOLID™ 36" x 73" Dining Table. This contemporary, yet comfortable set is ideal for more modern outdoor spaces and since it's available in several attractive color combinations, it coordinates nicely with any décor. Built to last while requiring very little maintenance, this set is constructed of sturdy aluminum frames and durable SOLID marine grade polymer (MGP) that resists corrosive substances, salt spray and other environmental stresses.